You'll be £10.00 closer to your next £10.00 credit when you purchase With Wellington's Hussars in the Peninsula and Waterloo. What's this? George Woodberry was commissioned into the 18th Light Dragoons (Hussars) as a cornet on 16 Jan 1812, and joined Wellington’s army as a lieutenant, seeing action in the key battles of 1813 and 14 – Moralles, Vittoria, Nivelle, Nive, Orthes, Croix d’Orade and the final battle of the war at Toulouse. He was wounded at Mendionde in a clash with French cavalry as Wellington advanced into France. He also served in the 1815 campaign, being at Waterloo and the march to Paris. His lively, detailed and entertaining account of his time in Wellington’s army is matched by the unusual story of the history of his journal. It was published once before, in 1898, but in French by a Paris-based publisher. The original journal, in two leather-bound volumes, has since been lost, but the French edition has now been translated back into English by renowned Napoleonic historian Gareth Glover and is published in the UK for the first time. 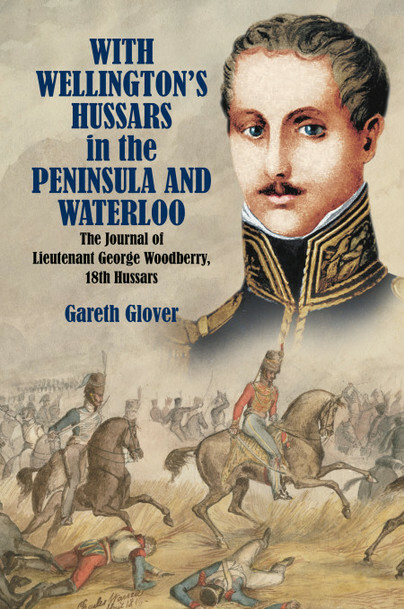 This is yet another personal account that benefits from Gareth Glover's research and enthusiasm, and would be a most welcome addition to the library of any collectors of Peninsular and Waterloo memoirs, who will be grateful to the editors and publishers for making it readily available in English at last. Wargames Illustrated, July 2018 - reviewed by Arthur Harman.